The Samsung Galaxy S4 comes with a range of impressive features, the handset features a 5 inch display which is covered in Corning Gorilla Glass 3, the glass is designed to be touch and resistant to scratches. 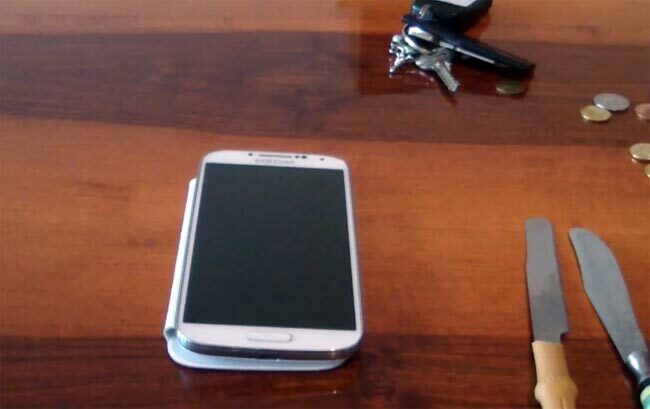 Szabolcs Ignacz decided to put the Gorilla Glass 3 on the Samsung Galaxy S4 through its paces, the video below shows the handset being tested with a number of things that could easily scratch the glass, including knives, keys and more. As you can see from the video the Samsung Galaxy S4 did pretty well in the test, without suffering much damage, we wonder if the rumored plastic OLED displays for the new Samsung Galaxy Note 3 would perform as well in the same test.